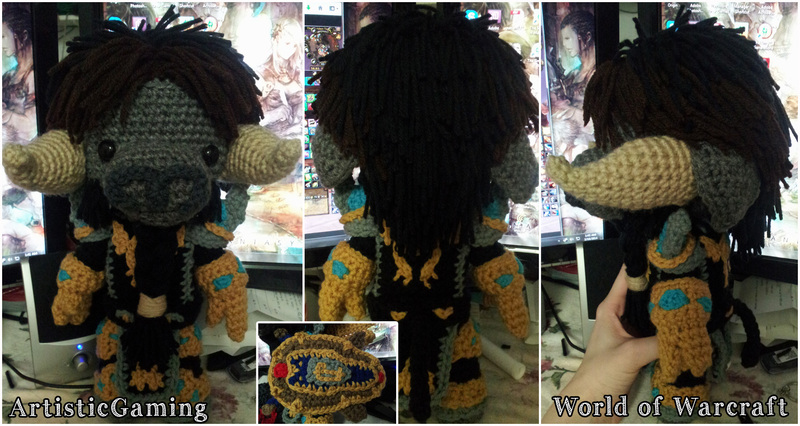 This is the first Tauren I made with the redesigned pattern available in the WoW Horns and Ears guide. I love how he turned out. One of my better WoW dolls in my opinion.